Click on the image left of the description to watch each video. 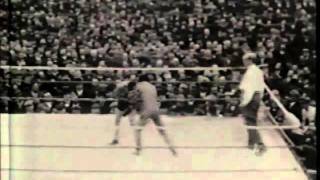 This was the Lightweight Championship of the World. These two fighters hated each other and wanted a 45 round fight which was becoming illegal in many places including San Francisco which is why the event was held in Point Richmond. It rained the day of the fight and the grounds (I think in the area of Warham Development) were a big mess for the 15,000 plus attendees. To watch click on the image to the left. The little building that houses our museum was on West Richmond before the building that is there now was built. 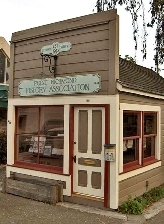 The owner was anxious to get construction started so he said the History Association could have it, but they would have to move it quickly or it would be destroyed. Our incredible community went to work! We actually had a new resident who's profession was moving (big) buildings. Others volunteered to strip the building, tear off the old roof, secure it and build its current foundation. Santa Fe Railway moved it with the big forklift you see in this film and Chevron brought a crane to put it on its new foundation. 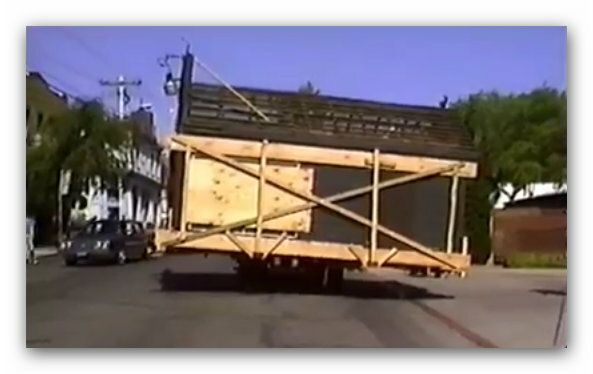 Because of the necessary haste the move was done with out permit, needless to say the City was not happy with us. 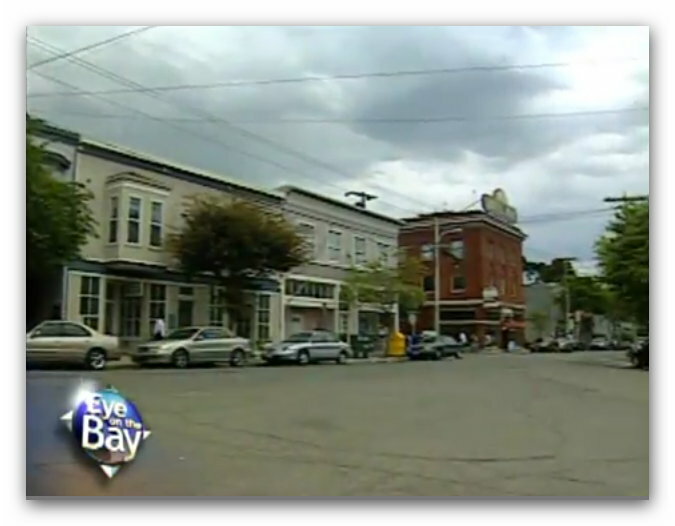 Remember the popular television program, "Bay Area Backroads" that aired on KRON television from 1985 to 2008. It was hosed by Jerry Graham from 1985 to 1993 and Doug McConnell 1993 to 2008. 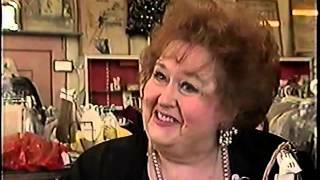 This episode is hosed by Jerry Graham, and stars Jerry Cerkanowicz (PRHA President at the time) and Sherry Hartnik (of "Sherry and Bob's Department Store"). For many years the town celebrated "Indian Statue Day". The downtown area was closed off and the celebration included booths, special sales, a stage with live music and speeches by local dignitaries. PRHA Annual Meeting was held at Our Lady of Mercy Catholic Church. We had a very good attendance and everyone had a great time. 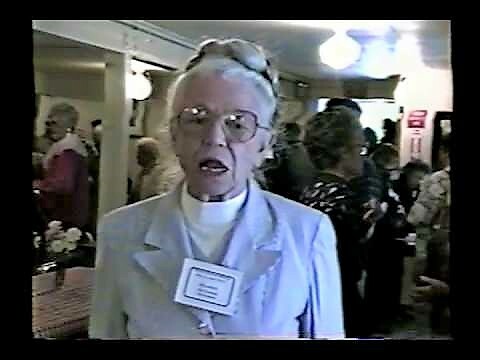 Older folks will love this video. 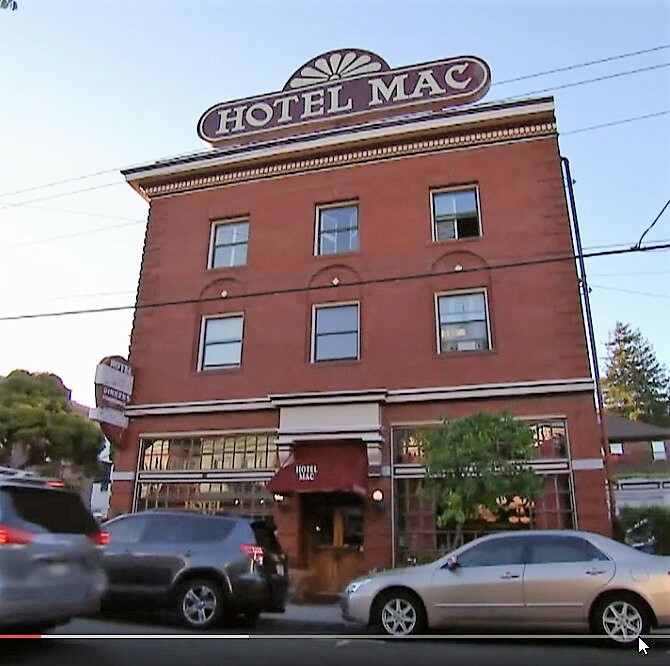 Hotel Mac featured in "Check Please"
KQED's "Check Please" aired May 7, 2015, we take a trip through yesteryear to historic Hotel Mac Restaurant in Point Richmond, where classic comfort foods are the menu mainstays. In all recordings, the program follows a short meeting. Held at the Point Richmond Community Center featured stories by Point Richmond "Old Timers" on growing up in Point Richmond. 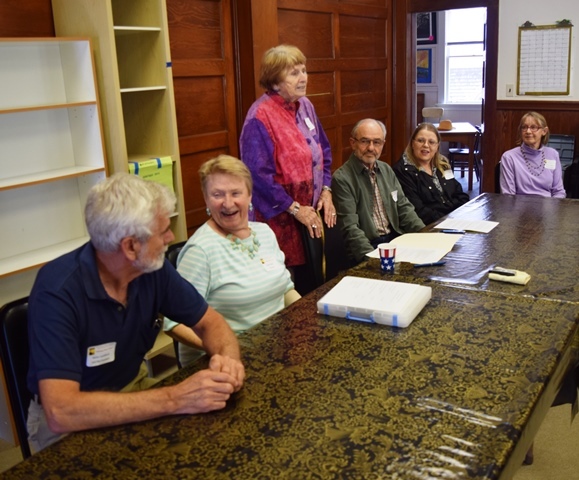 The Guest Panel included Betty Dornan, June Beesley Sosabel, Bruce Bartram, George LeRoy Williams and Mary Bianchini Highfill. Pat Bill Pearson was moderator. Click Here to listen to the full meeting using your computers media player. This meeting was held at the local, friendly and accommodating Chinese restaurant. The City worker that was to bring the key to the Community Center never showed up. After waiting on the side walk for some time we moved our group to the restaurant. 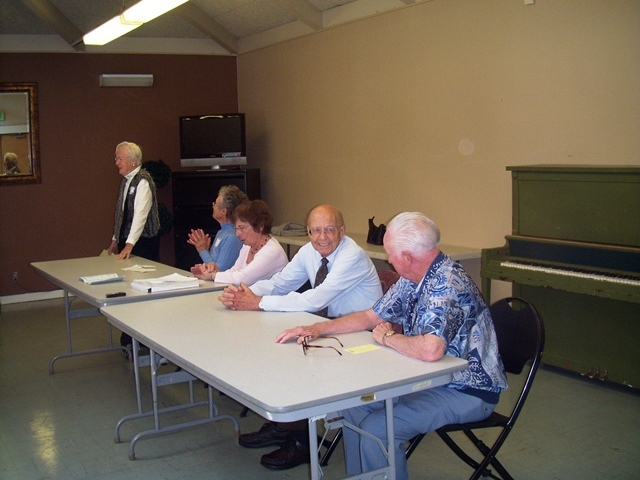 This meeting was held at the Point Richmond Community Center. 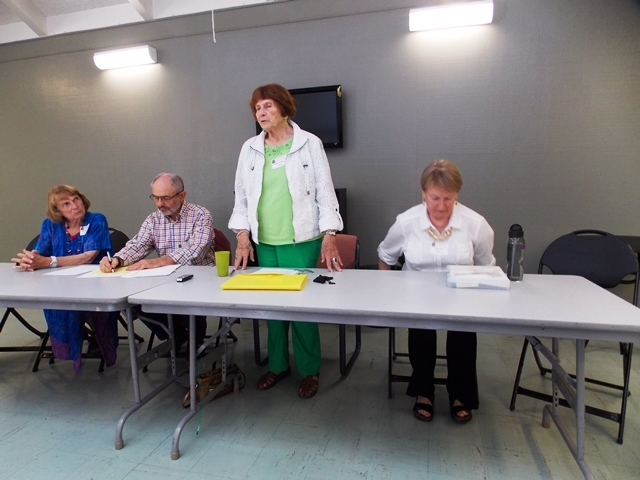 Lois Boyle of the Richmond Museum of History was the "star" of this meeting. 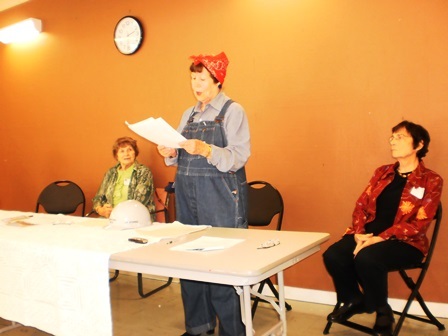 She arrived costumed in "Rosie the Riveter" garb and proceeded to act out a fun and entertaining typical Rosie story. 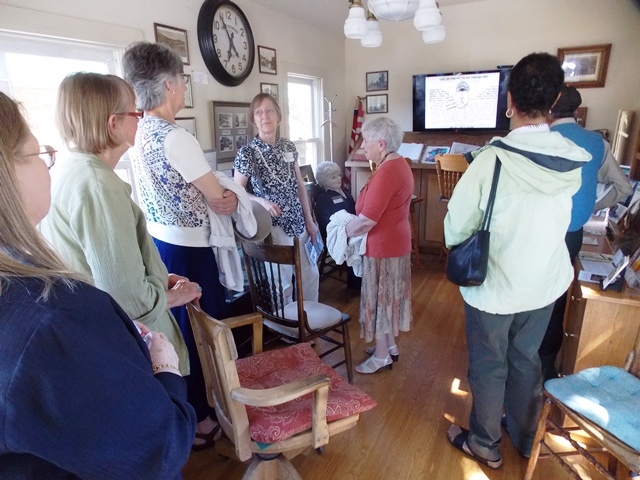 The meeting celebrated the Centennial of Washington School. Margaret Morkowski talked about what was going on at the school to celebrate 100 years. 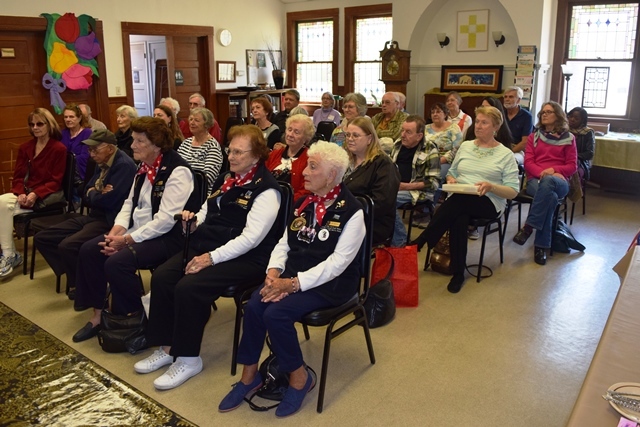 Our guest speaker was author and historian Steve Guilford who talks about the WWII Shipyards here in the Point. 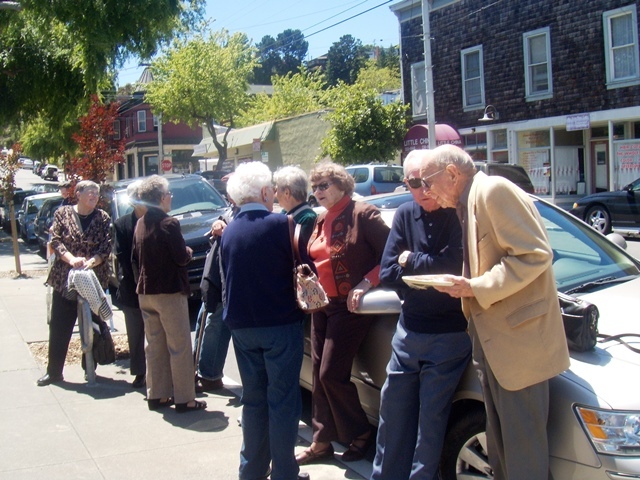 Theme was "This Old House" and how to research information about your favorite old Point Richmond home. 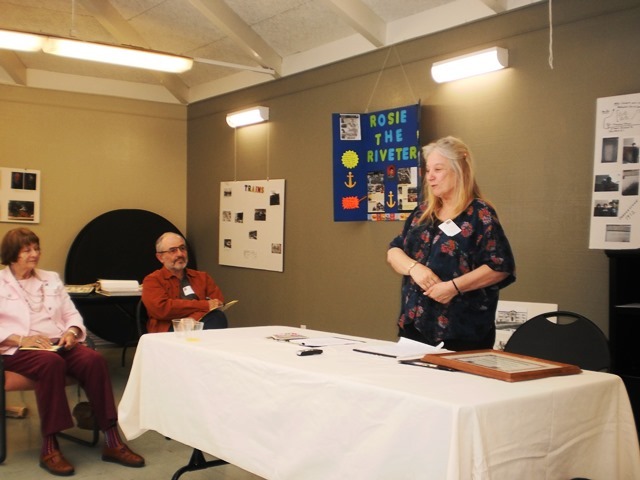 Guest speaker was Dean McCleod from the Contra Costa Historical Society. Mr. McCleod described his path of discovery as he researched his own house. He also shared the resources that he found useful in finding clues about your building. Very pleasent and informative meeting, information sheets were given out at the end of the meeting. Those sheets are still available in our museum. This meeting was held at the Point Richmond Methodist Church on West Richmond and Martina because the Community Center was under repair construction. The program for this meeting was a presentation by National Park Ranger Raphael Allen. Ranger Allen's talk was on "Making Rosie Stop" and about the efforts to convince Rosie's to go home and return to "women's work". It is interesting and informative. Three Rosies also attended the meeting.